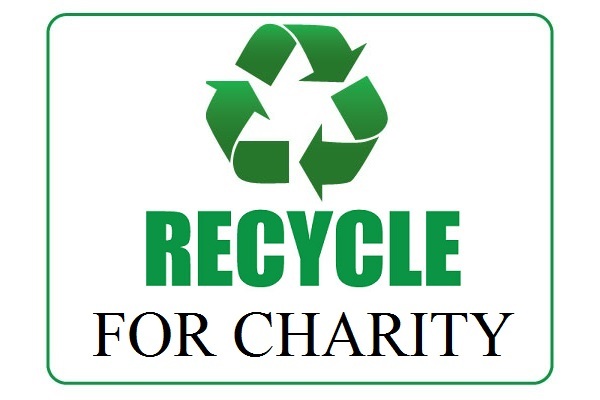 “Recycle For A Cause is a 501(c)(3) non-profit organization I started in 2014 when I was 10 years old. One day while at work with my dad recycling construction material, I came up with the idea to raise money by collecting recyclable materials to help the environment, kids and organizations that are doing good in the world. We started by collecting aluminum cans in the neighborhood, from our friends, and through my basketball league. We now collect aluminum cans, toner cartridges, cell phones, rechargeable batteries, lithium batteries, chargers, extensions cords/wire, televisions, radios, computers, and plastic bottle tops. We have recycle bins which come in various sizes that can be setup at your location. If you already have recycling bins, we can customize our laminated signs to be attached to your bins. Show your customers that you care by being a drop-off location.